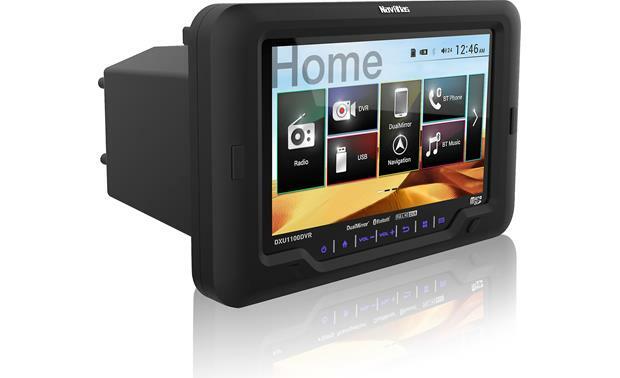 Making a splash with your side-by-side's showy exterior's not a problem, but wouldn't a cool receiver with DVR capability make your rides that much more enjoyable? 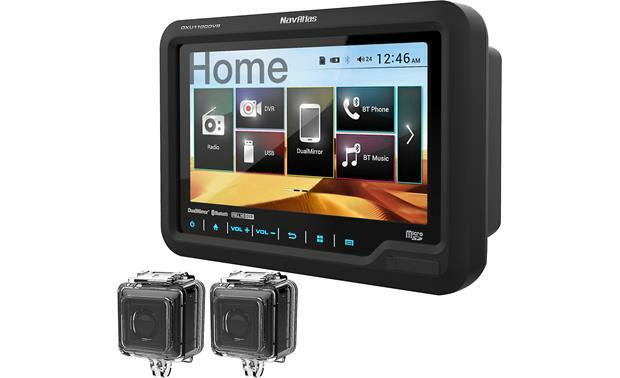 The NavAtlas DXU1100DVR command center features an AM/FM radio and a 6.2" high-resolution display, and it comes with a built-in digital video recorder and a pair of HD cameras for documenting and sharing your adventures. You also get access to music from a thumb drive or your phone. The DXU1100DVR receiver features a 6.2" LCD screen with protective glass that'll let the picture shine through varying weather conditions but keep it safe from the elements. The receiver's UV-resistant exterior resists fading, and its conformal-coated circuit board is able to withstand a good soaking from water or other liquids. It'll work through vibration forces up to 10G, so you can take the roughest trail around without fear. The cameras boast a clear plastic, IP66-rated housing, which means they're protected totally from dust and resistant to high-pressure water jets. That doesn't make them or the receiver completely submersible, but they'll keep on ticking if you take your side-by-side through some particularly muddy terrain or a wild rainstorm. The receiver's 2-channel digital video recorder captures the action in full high definition from each camera simultaneously, so you don't have to choose one angle to film your rides. You can record uninterrupted in selectable increments of one, five, or ten minutes, or continuously until your memory cards are full. 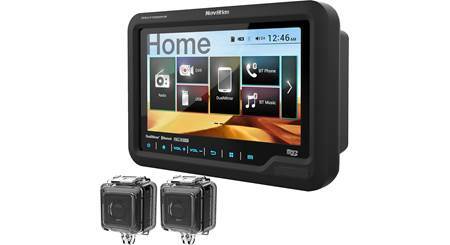 And you'll be able to see the camera footage on the DXU1100DVR's screen live or review it after your ride is over. There's no CD player in the DXU1100DVR, so you can leave your discs at home and enjoy your much larger (and lighter!) digital music collection out in nature. With built-in Bluetooth, you get the safety and convenience of audio streaming and hands-free calling with compatible smartphones and music players. You'll enjoy plenty of options for entertainment and information with this receiver, highlighted by an HDMI input. You can also listen to your favorite AM/FM stations or play music or video stored on a USB drive. Screen mirroring and two-way control is enabled through an optional Wi-Fi dongle (not included) and a Bluetooth connection. Screen mirroring only is enabled through a wired HDMI/MHL connection. This also works for select Apple products. 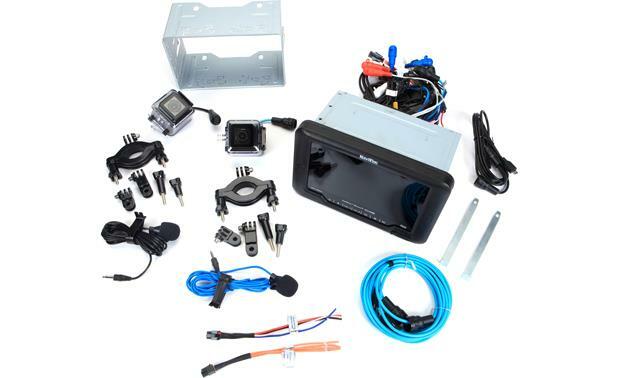 The DXU1100DVR won't fit directly into your side-by-side's dash without some modifications, but we do offer dash kits for select Can-Am and Polaris Slingshot models for a professional look. This receiver does not have a built-in amplifier, but it does have a full complement of 4-volt preamp outputs, ready to supply a powerful signal to your marine-rated amplifiers, including the NavAtlas BMA475. The DXU1100DVR's compatible with NavAtlas' ANBX1 off-road navigation module, which enhances your side-by-side with GPS guidance so you'll always be able to find your way back to your rendezvous point. The receiver also features four touchscreen-activated auxiliary switches so you can control your add-ons like running lights or LEDs from one central location by adding an optional relay box. Rugged Outdoor Design: The NavAtlas DXU1100DVR features a rugged design that holds up to the outdoor and marine environment for motor and water sports. Water, Dust, & Shock Resistant: The DXU1100DVR is dust tight and protected against powerful jets of water (IP66 rated). It is also shock resistant (10G vibration tested). UV Resistant Construction: The front-panel and other exposed elements of the unit are carefully injection-molded using high-temperature ultraviolet resistant resins, preventing them from breaking down in the sun and giving you peace of mind to enjoy your music outdoors even during the sunniest of days. Conformal Coated PCB: The conformal coated main circuit board has a transparent protective film applied to all surfaces. This additional layer of defense guards against dust, condensation, and corrosion - ensuring maximum longevity. 6.2" LCD Touchscreen: The NavAtlas DXU1100DVR features a high resolution 6.2" capacitive LCD touchscreen with a resolution of 1024 x 600 and brightness of 500 nits. The capacitive touchscreen provide fast, precise control. You can choose between 3 wallpaper background images. 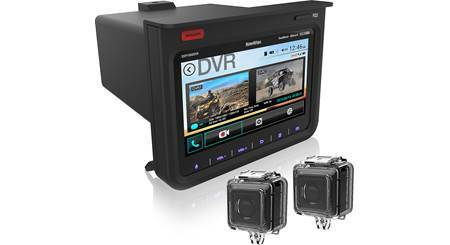 DVR with Two Action Cameras: The NavAtlas DXU1100DVR comes with two waterproof action cameras, a wired microphone and a built-in DVR for simultaneous live viewing and audio/video recording. The two action cameras feature a CMOS Sony IMX322 lens with a resolution of 1920 x 1080 and a view angle of 150° horizontal x 120° vertical. 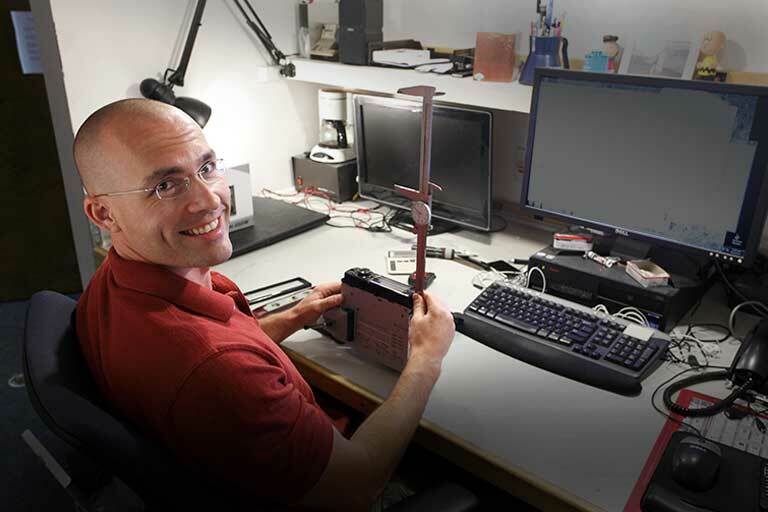 The cameras include swivel mounting brackets for up to 2" bars. The built-in DVR will record up to 1080p video and mono-audio continuously or in preset intervals (1, 5, or 10 minutes). Audio/Video is recorded on to a microSD/SDHC memory card (sold separately) up to 128GB. The microSD card slot is located on the front-panel of the unit (there is no built-in memory). DualMirror (Screen Mirroring): The NavAtlas DXU1100DVR can wirelessly "mirror" your Apple iPhone (iOS 4.2+) or Android smartphone (Jelly Bean 4.2+) through the Dual DMH25 WiFi dongle (070DMH25, sold separately) that plugs into the receiver's rear-panel HDMI input and USB charging port. You'll be able to listen to audio from stored music and music apps, watch video from stored movies and movie apps, and view navigation apps on your compatible Apple iOS or Android OS smartphone. If you prefer a hardwired connection, you can connect your compatible Apple iOS or MHL-enabled Android device to the unit's HDMI and USB port directly (you will need to purchase additional cables - see below). Apple iOS Connectivity: If you have a iPhone 5 or newer with the Lightning connector, you will need Apple's Lightning Digital AV adapter, Apple's Lightning-to-USB cable, and Dual's mobile-grade DL5i HDMI cable or other HDMI cable (all sold separately). Android Connectivity: Most MHL-enabled Android devices, will require Dual's microUSB 5-pin to HDMI/USB cable (070SL55A, sold separately). If you have a Samsung Galaxy S3/S4/S5 or Note II/III/IV, you will also need 5-pin to 11-pin adapter (sold separately - not available at Crutchfield). Click here for a complete list of MHL-compatible smartphones. The HDMI input and USB charging port are attached to the rear-chassis via a 39" cables. When installing the included DMH25, there are firmware updates available on the Dual website which are required for Apple iPhones running iOS 9.0+ or iOS 10.0+. DualMirror 2-Way App (for Android): Download the DualMirror 2-Way App onto your Android smartphone (Jelly Bean 4.2+) to allow control of the smartphone from the DXP100DVR's touchscreen. In addition to WiFi connectivity through the DMH25 dongle or HDMI/USB connectivity, the DualMirror 2-Way App requires a wireless Bluetooth connection between your compatible Android smartphone and the NavAtlas DXP100DVR. Note: Apple iPhone does not support the DualMirror 2-Way app, so you cannot control it from the receiver's touchscreen. Some Android devices or Android apps will not support the DualMirror 2-Way app or control from the head unit. These non-compatible 2-way devices will require control from the mobile phone's touchscreen. 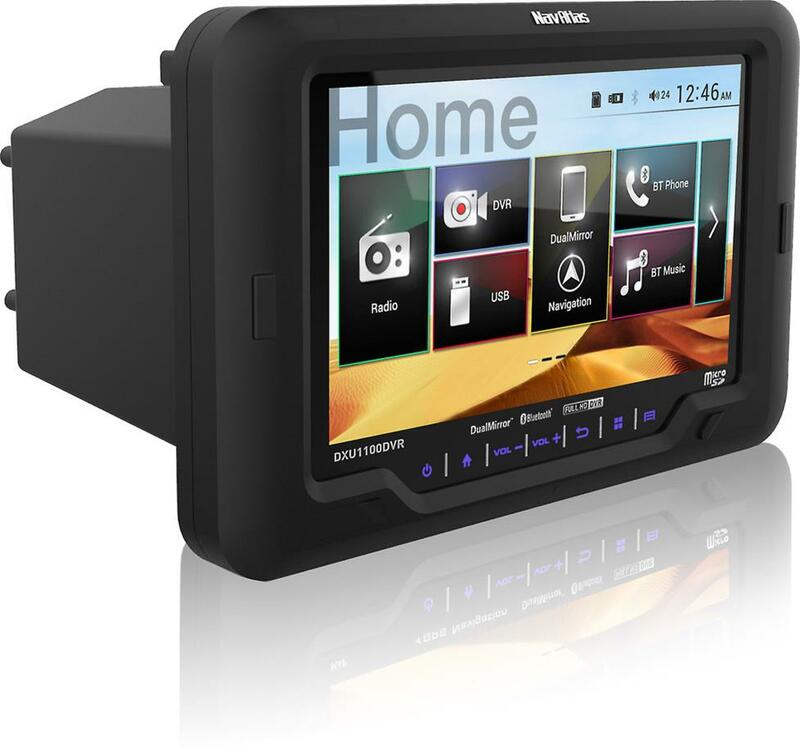 Built-In Bluetooth: The NavAtlas DXU1100DVR offers built-in Bluetooth 3.0 with support for hands-free phone communication (HFP) and wireless music streaming (A2DP/AVRCP). You can only pair and connect one Bluetooth source device at a time with the DXU1100DVR. Once a device is paired, it will connect automatically when it is within wireless range (up to 30') of the system. Hands-Free Phone Communication: You can answer and make call from the unit's touchscreen. You can simply tap the touchscreen to answer or end call. The touchscreen can also be used to make a call by entering the number manually, selecting a contact from your downloaded phonebook, or selecting a number from your recent call list. Your side of the conversation is handled by the included external microphone, while the other party is heard through your speakers. Wireless Audio Streaming: You'll be able to stream audio from stored music and music apps on your Bluetooth-enabled smartphone or tablet device to the DXU1100DVR. You can control basic playback functions such as Play/Pause & Previous/Next Track from the unit's touchscreen. The LCD touchscreen will also display song/artist/album information (no album art). Dual USB Inputs: The NavAtlas DXU1100DVR is equipped with two rear-panel USB (type-A) inputs that are attached to rear-chassis via 39" cables. One of the USB ports is used for audio/video playback, while the other is used for charging only. The USB input that supports audio/video is compatible USB MSC (Mass Storage Class) devices with video up to 1080p and MP3/WMA music files (song/artist info & album art supported). The USB charging port offers fast USB charging (5V/2.3A) for your smartphone or tablet device. AV Input: The NavAtlas DXU1100DVR is fitted with a 3.5mm AV input for connecting an external audio/video source device. AM/FM Tuner: The NavAtlas DXU1100DVR features a built-in AM/FM tuner with seek and preset tuning. You can store up to 18 FM presets & 12 AM presets. The AM/FM tuner offers US & European tuning, as well as RDS. The Radio Data System (RDS) feature displays radio broadcast information such as artist & track information when listening to compatible AM/FM stations. 4V/6Ch Line-Outputs: The NavAtlas DXU1100DVR is outfitted with 4-volt, 6-channel line-outputs (Front, Rear, & Sub) to connect an external power amplifier (sold separately). The front & rear line-outputs are fading, while the sub out is non-fading. Note: This unit is not equipped with a built-in amplifier. A separate amplifier is required and sold separately. Audio Controls: The NavAtlas DXU1100DVR provides Tone, Subwoofer, EQ, Loudness, & Fader/Balance controls to tailor the sound to your musical preference. EQ Presets: You can choose between 5 EQ presets - Jazz, Classic, Pop, Rock, or User. The User mode allows you to manually adjust Bass, Midrange, and Treble. Sub Control: The receiver's subwoofer line-output offers level control (-12 to + 12) and a variable crossover (80/120/16Hz or Flat). Loudness: The Loudness setting (High, Low, or Off) is used to emphasize low and high frequencies at lower volume levels. Note: You can set the unit to output a beep tone to confirm operation. Mounting Options: The NavAtlas DXU1100DVR requires a rectangular cutout that measures 7.175" (w) x 4.055" (h) x 4.455" (d). It installs from the front of the dash and secures into the cutout opening using the included mounting sleeve. Optional dash kits are available for easy installation in select Can-Am Commander and Maverick side-by-side models (145CANAMKT; sold separately), plus select Polaris Slingshot 3-way motorcycle models (145SSKIT; sold separately). Note: The unit's large front-panel prevents it from working in standard Double-DIN applications. Optional Backup Camera: The NavAtlas DXU1100DVR features a composite video camera input for adding an optional backup camera (sold separately). A reverse trigger wire (pink) allows the unit to automatically switch to the backup camera input when your ATV is put in reverse gear. 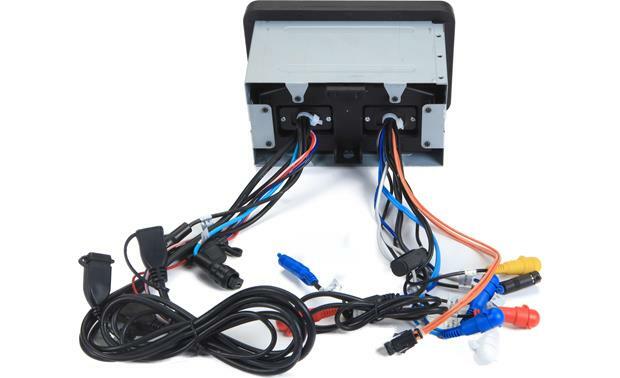 Optional Relay Box: The DXU1100DVR is equipped with four 12V switch Aux triggers that can be connected to the NavAtlas RBX4 4-port relay box (145RXB4, sold separately) for control of up to four different 12-volt accessories. Off-Road Navigation Ready: The DXU1100DVR is compatible with the NavAtlas ANBX1off-road navigation system (145ANBX1, sold separately) through its HDMI connectivity. Where is the optional stereo harness with OEM backup camera integration? I NEED ALSO THE ANBX1, DO YOU HAVE IT? I'm afraid the NavAtlas ANBX1 External Off-road Navigation Box is not available for purchase at this time; but we are expecting to offer that for purchase so please check back with us in the near future for any updates. Thanks! 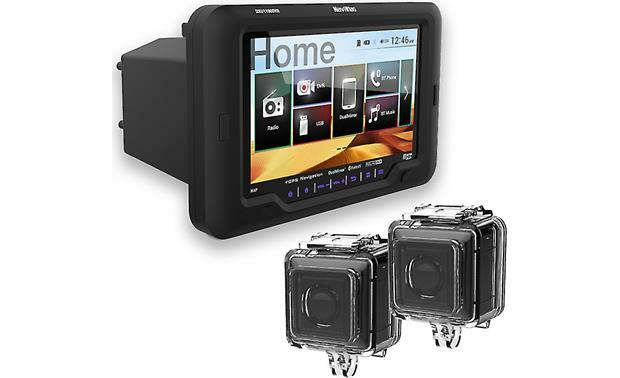 Searches related to the NavAtlas DXU1100DVR Digital media receiver with DVR and two action cameras for side-by-side vehicles.